A reading and research place for young explorers and their brilliant ideas. 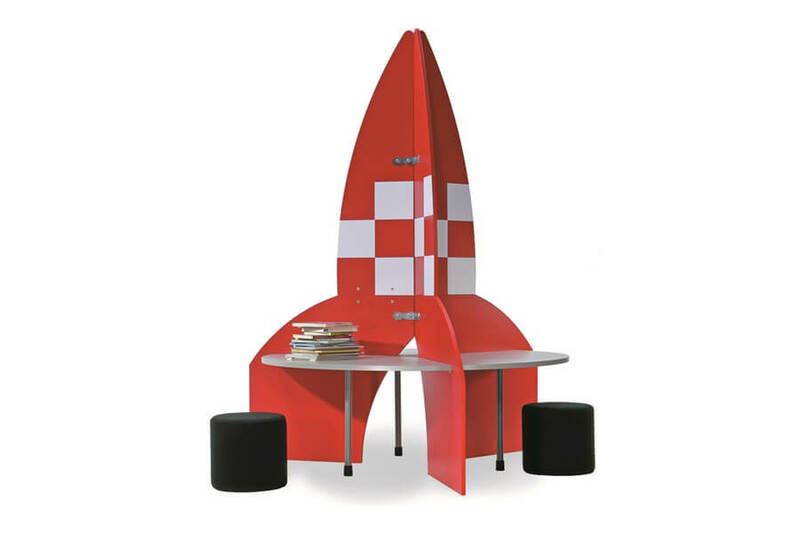 The 3 circular workstations are separated from one another by the rocket body and each has a sufficient size for two persons to work on it at the same time. 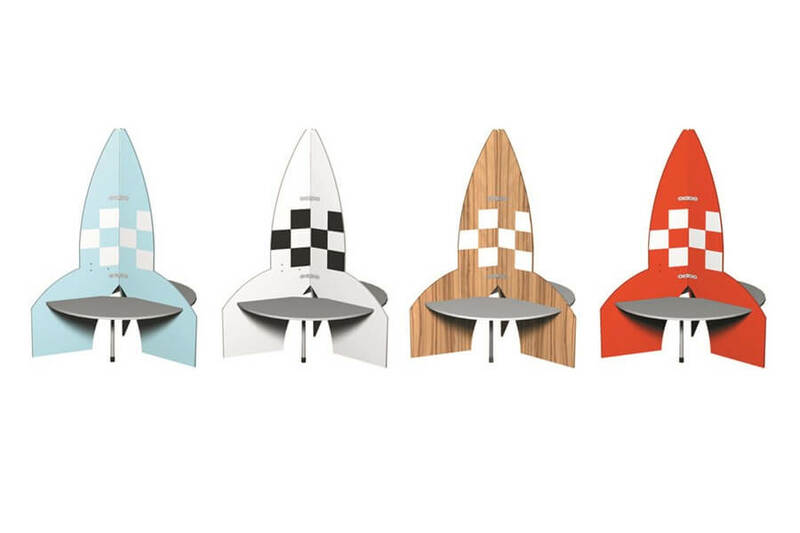 The rocket can be placed free-standing and can be equipped with other furniture accessories. 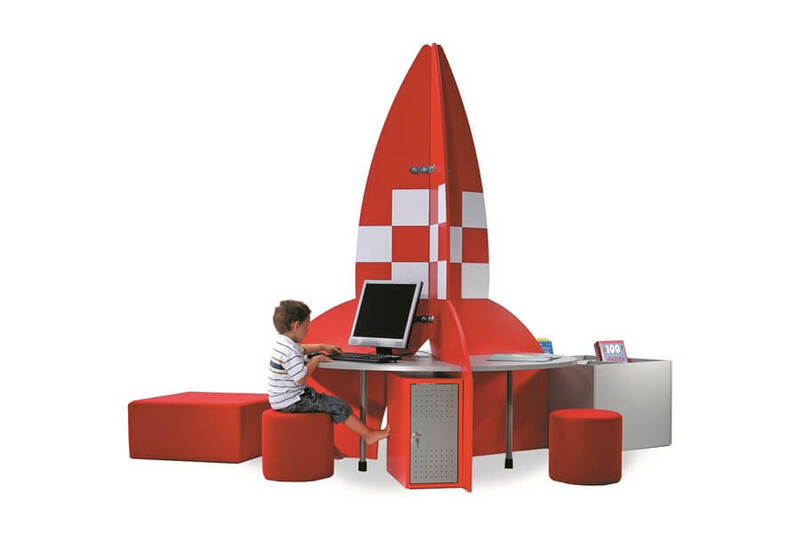 As an example, you can create suitable internet research workstations for kids by using integrated computer boxes, or build a significant reading landscape with a central table by combining it with picture book boxes.